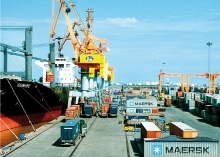 (VEN) - Based on the signs of satisfactory recovery in the first five months of 2014, the African, West and South Asian Market Department under the Ministry of Industry and Trade predicted that trade between Vietnam and Egypt would possibly grow this year and Egypt would regain its position as Vietnam’s second largest market in Africa. (VEN) - At a July 7 meeting with Egyptian Ambassador to Vietnam Youssef K. Hanna, Vietnamese Minister of Industry and Trade Vu Huy Hoang said that Egypt has an important position in the regional and global political and economic map. (VEN) - The 2014 Vietnam-Laos Trade Fair was held from July 3-7 in Vientiane attracting about 100 Vietnamese and 100 Lao businesses with their more than 250 booths. (VEN) - The Hungarian National Trading House (HNTH) was inaugurated in Hanoi to promote trade between Hungarian and Vietnamese businesses. Vietnam Economic News’ reporter Hoa Le talked with HNTH Official Representative Lenart Istvan about the HNTH’s role in boosting economic cooperation between Vietnam and Hungary. (VEN) - Denmark has always been the largest European ODA provider for Vietnam in the past 20 years. However, Denmark has currently decreased its aid and focused on promoting trade and economic cooperation. Danish Ambassador to Vietnam John Nielsen talked about the issue in an interview with Vietnam Economic News’ Nguyen Huong. (VEN) - Vietnam and Mozambique concluded a protocol on educational cooperation on June 23 on the occasion of the visit to Vietnam by Mozambique Minister of Education Augusto Jone Luis to strengthen relations between the two countries.